Todd and Connie Aebischer Biographical Data | Todd & Connie Lou…from Papua New Guinea…to you! Todd and Connie were raised in rural Southern Oregon where they have been life-long friends. Missions have been their passion and the focus of their hearts since childhood. Married in 1988, at Medford First Church of the Nazarene, they actively served on the Missions Board, Church Board, in the choir, orchestra and co-led the young adult/career ministries group. In 1989, they had the opportunity to participate in a Work and witness trip to Dwarsloop, South Africa, where their call to missions was solidified. Back in the states, Connie continued her work as a surgical assistant / x-ray technician and Todd completed a degree in Business Administration / Political Science, while also obtaining his commercial pilot’s license. In 1991, they applied and were assigned as a pilot/wife mission aviation team with Pacific Missionary Aviation, conducting flights throughout Micronesia and west to the Philippines, serving there through 1995. Upon completion of their assignment in Micronesia, Todd and Connie returned to the U.S. where Todd assumed the position of Chief Pilot in charge of flight operations for a regional airline. During this time he completed his Airframe and Powerplant Technician and Airline Transport Pilot certificates while they awaited final assignment with Nazarene Mission Aviation in Western Africa. In 1999, Todd and Connie were appointed as Global Missionaries for the Church of the Nazarene and assigned to the Ivory Coast (Côte d’Ivoire). Todd assumed the position of Africa West Field Treasurer while attending French language school, and also established the Nazarene Mission Aviation base of operations which served 17 countries of West Africa. With the closure of Nazarene Mission Aviation in 2004, Todd and Connie returned to the U.S. where Todd pursued graduate Family Medicine education in the Global Health Track at the University of Washington School of Medicine. Connie worked for the county as a planner with the development services department. In 2010, Todd was invited to assume the Executive Director position with Hands of Hope Northwest, the West Coast’s Nazarene Compassionate Ministries Center and an International Humanitarian Aid mission, providing medical supplies and equipment to partners in more than 29 nations globally. In 2012, Nazarene Global Missions invited Todd and Connie to return to the Asia-Pacific Region where Todd served as the Regional Communications, Partnerships, and Work and Witness Coordinator and Connie served as the Nazarene Missions International Coordinator. But through much prayer and several significant events, it became apparent that the Lord was leading Todd and Connie into this new role with Mission Aviation Fellowship. August of 2017 will be the start of this new chapter, serving alongside the incredible men and women who together make up the Papua New Guinea Mission Aviation Family. The rugged and remote highlands of Papua New Guinea. Todd and Connie have 4 children, two son-in-laws, and one granddaughter: David and Dwayne (34), adopted twins from Micronesia who live and work in the Nampa, Idaho area, Jessica [Cale & Nortje] (26), who lives Boise, Idaho, and Courtney [Landen] (24), who is in her final year of study in education, at Northwest Nazarene University. 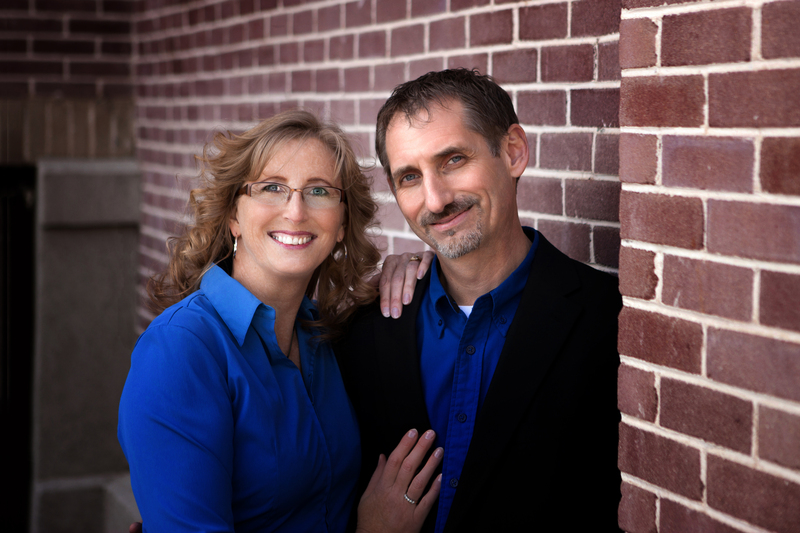 Todd and Connie are members of the Karcher Church of the Nazarene in Nampa, Idaho. Todd is a third generation missionary whose great grandfather, Rev. Cecil Troxel, was a founding missionary for World Gospel Mission in Shandong Province, Eastern China (1910). It’s Dee Hale. Todd we spoke at the Urbana Church of the Nazarene Zone Rally in Urbana, Ohio on April 1st. PS: I’m the lady who talked to you regarding W&W with a possible JFHP outreach in 2018. My family met you guys last year at the Work & Witness conference in Maryland. I loved your attitude and sense of adventure about life and the way you were part of encouraging Sam Tamayo to start a motocross church. It looks like you are ready to fly into more adventure with MAF! As a follower of MAF on social media, I’m hoping to hear about your further adventures through their pages and profiles. Thanks for inspiring others with your lives. Greetings to you from Todd and I in Australia! We are up earlier than usual thanks to jet lag and are preparing to head to Mareeba to the flight school and maintenance center to have a look-see and meet more of the team! Thank you for your comment and kind words. We pray that our lives would be an inspiration to others to follow the passions and purposes God has for each one. You may just be seeing some posts about us in the near future on MAF sights! We just got our Bio page up (with a few glitches) on the MAF-US site! https://www.maf.org/Aebischer So we are official now! Hope we run into each other again in the future!